London Detective Mysteria will launch for PS Vita via the PlayStation Store and PC via Steam on December 18, publisher XSEED Games announced. Eschew the frivolities of 19th century London’s high society and instead delve into the curiosities that lie hidden in London’s darkest corners in London Detective Mysteria. 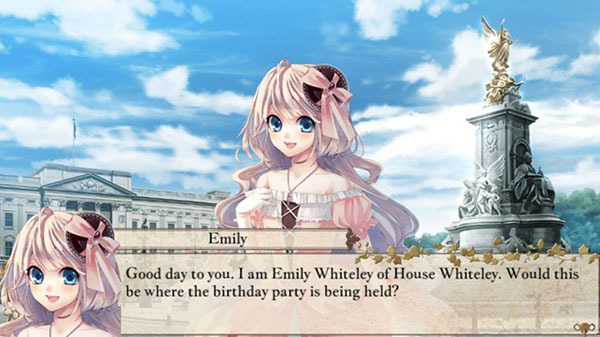 Playing as the heiress of House Whiteley, players will name their own Lady Whiteley as they investigate mysteries of London and interact with personalities inspired by famous fictional characters including Detective Holmes, Jack the Ripper, and more. Take full control over the experience by adjusting text speed or even the individual speaking volumes of individual characters and their original Japanese voices. Players must choose their words carefully as they interact with other characters, as decisions made throughout the story will not only affect special rewards but will also shape whether Lady Whiteley finds love or something more sinister in the shadows of 19th century London. Watch the launch trailer below. View a new set of screenshots at the gallery.